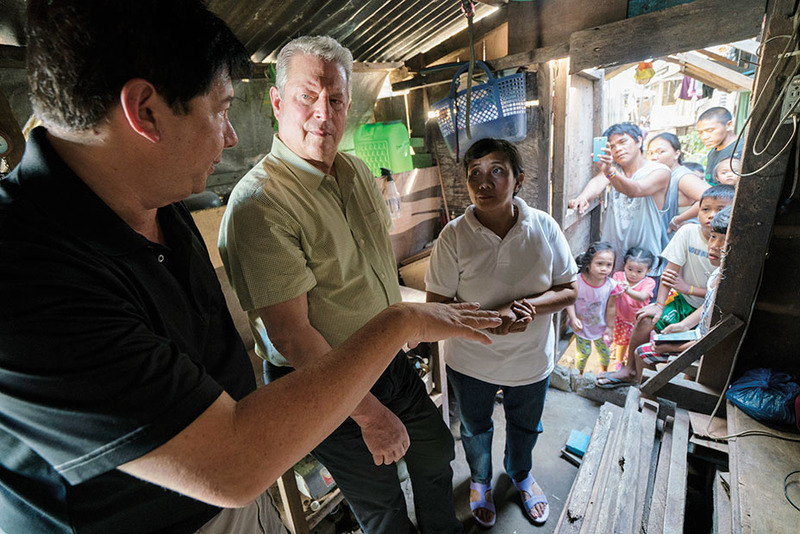 If 2006's An Inconvenient Truth was Al Gore's call to arms, An Inconvenient Sequel is a silent scream into the void. It's impossible not to place his latest plea to climate change activism into the current political climate, and the film makes no attempt to avoid the reality of an impending Trump presidency. The simple truth, an inconvenient one at that, is that much of Gore's progress over the years may be railroaded by a buffoon who doesn't seem to understand the situation. 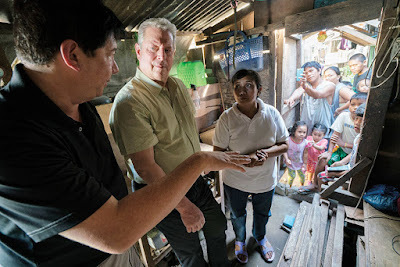 But even then, there are opportunities for hope abroad, and that is where Gore smartly focuses his energy. Deep frustration is what Gore expresses most throughout, but especially in the early going. Frustration over the lack of progress here in the United States, stalled by politicians deep in the pockets of Big Oil (Jim Inhofe looks especially corrupt). Frustration that an entire Presidential primary had one Party with 17 candidates, all of whom deny that climate change is an issue. To contrast, Gore shows us his travels to some of the hardest hit areas, in particular Miami where the streets are literally flooding as the sea level rises. Ocean Drive has never been a more appropriate name. Meanwhile, blurbs from President-Elect Trump call out President Obama for wasting his time on climate, which isn't actually a concern. The film hits you with all of the facts and figures we've come to expect from Gore's popular slideshow, but there's a greater anger and urgency. It's seen in the endless array of footage of the catastrophic damage caused by superstorms ravaging us just as much as they are destroying other countries. The point is simple: we can no longer pretend these things are happening elsewhere. They are happening here. While the silent conflict is Gore vs. Trump, the one that takes shape as a kind of geopolitical thriller is the former Vice President's efforts during the 2015 Paris Agreement. With terrorist attacks striking fear into the hearts of the people of Paris, Gore and others work to come to an agreement that will be beneficial to all. That includes some occasionally heated conversations with India's government, whose representatives are dedicated to fossil fuels based on America's established standard. Who are we to tell them anything when we refuse to commit to renewable energy ourselves? It all just gets sort of depressing, and even moments of victory are tinged with bleak reality. Of course, Trump's victory is eventually dealt with head-on. Not just our fatalistic reaction but that of the world, and it's impossible to deny that any gains from the Paris Agreement will ultimately be nullified as the next administration turns us into an autocratic petro-state just like Russia. In a different world, An Inconvenient Sequel could have energized a new wave of climate engagement, but now it will likely fall on deaf ears.